Australian Local Government Association (ALGA) President David O'Loughlin has met with industry leaders at a National Waste and Recycling Industry Council (NWRIC) meeting. They gathered to discuss a solution to the recent import restrictions on recycled materials sent to China. Commonly called the 'National Sword' policy, the new Chinese trade restriction is preventing over one million tonnes of paper, plastics and metals from being exported by enforcing a '0.5 per cent contamination' standard. 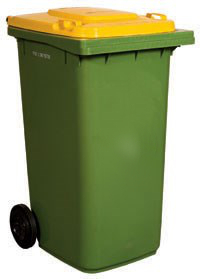 ALGA says the recycling industry has agreed to work closely with local government to quickly respond to the crisis and maintain all scheduled collection services for households. “Households across Australia want to continue recycling,” said NWRIC Chairman Phil Richards. In the short term, ALGA say new state government initiatives that reduce contamination are needed to improve product quality - and to prevent further stockpiling. “All communities must help respond to this recycling crisis by not putting unrecyclable materials and food waste in their household recycling bin. Only clean metals, glass, paper and hard plastics can be recycled. Our message to communities is; 'When in doubt - throw it out',” the lobby said. “Local Government is committed to recycling - it's good for jobs and the environment,” Cr O'Loughlin said. “To resolve this crisis all States, Territories and the Commonwealth need to work with us to provide certainty that recovered resources can be profitably utilised within Australia. This is the only way we can ensure the long term success of Australian recycling. “In some jurisdictions food waste can be placed in the green bin, leading to greater levels of organic recovery, and increased sales volumes to farmers and wine makers. These programs are a leading example of how to the close the gaps for a circular economy. “Once relief funding is in place from State Governments - many of which are sitting on millions in unspent landfill levies - we can commence putting in place new initiatives to create much cleaner materials from household recycling bins,” Cr O'Loughlin said.